Chandor pulls some grim, emotional twist in what looked a gonzo celebration of machismo the size of Expendables but not. In paper, Triple Frontier feels like a deviation from the director, J.C. Chandor’s filmography so far. Often presenting gritty, thought-provoking thrillers about the descend of men without hand-on action sequences, Chandor takes a radical premise when he collaborates with writer of The Hurt Locker and Zero Dark Thirty, Mark Boal. There are stand-offs here, but Chandor’s gripping signature lies around in this star-studded machismo celebration. Working with Boal is almost identical with how emotional state plays part in even the fiercest stand-offs; and, there’s where the movie starts. To further establish Santiago “Pope” Garcia’s (Oscar Isaac) motivation to raid the safehouse of a South American druglord and steal millions of dollars from the stash, Triple Frontier observes Pope as he assembles his ex-military groups consisting of a military motivator, William “Ironhead” Miller (Charlie Hunnam) and his MMA fighting brother, Benny Miller (Garrett Hedlund), a military savant turned realtor, Tom “Redfly” Davis (Ben Affleck), and an ex-pilot detained for cocaine abuse, Francisco “Catfish” Morales (Pedro Pascal). With a team as capable as The A-Team and/or The Expendables, the heist was an easy thing. The pile of money was a more problematic one; and the escape plan was the real disaster. Those familiar with Chandor’s filmography will immediately find the red line between Triple Frontier and other ones. Some group of men discussing plans, possibilities and risk management might immediately remind you to the men of Margin Call, yet, that’s what you got when the vets assemble, observing the professionals used all the experience and cognitive resource to map out their way in and out. The druglord’s safehouse is more of an element from Boal’s visionary; it’s claustrophobic, unpredictable and suspicious, as if danger may lurk at any given situation. Meanwhile, the escape plan is a reflection of All Is Lost, where natural power outwits even the most clever professionals; and the complication that leads to breakdown towards the end is a reminiscence of A Most Violent Year where external variables keep jeopardizing the struggle, distracting the group from the initial goal (exactly the plot of Chandor’s movie which also features Isaac). The posters and all the marketing materials did a little just to the movie itself. People will easily mistake this as action-packed bravura full of proud machismo and one-liners. Turns out, it’s not even half of it. The movie takes a more somber approach to the subject matter and makes the whole narrative darker and yet more sympathetic. The action has never been the main course, but it’s merely some spike to make statements about how greed consumes the men and makes them reckless. After all, Triple Frontier is no different from Chandor’s other movies; it only appears lighter, more accessible albeit a little deceiving (but, hey, I was also deceived when I learned that A Most Violent Year isn’t half as violent as the title suggested). Final verdict, Chandor pulls some grim, emotional twist in what looked a gonzo celebration of machismo the size of Expendables but not. Your line about A Most Violent Year made me laugh, you’re absolutely right! 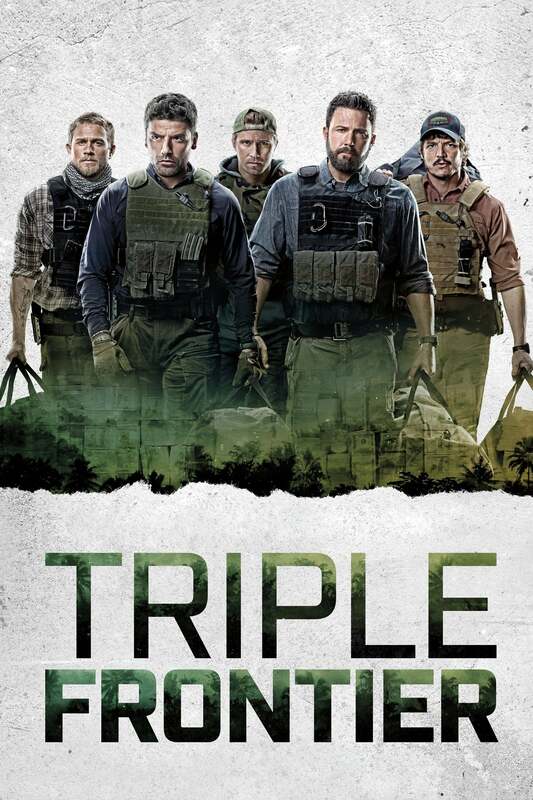 I enjoyed Triple Frontier but the second half let it down a bit for me. It’s actually funny to see how things ‘not working’ in A Most Violent Year; Triple Frontier repeats it in the second half.